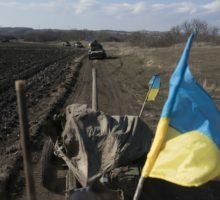 The Ukrainian side claimed that it captured Novoluganskoye village, which officially was in the “grey zone”, but was in fact controlled by Kiev’s military. This way the commanders of Armed Forces of Ukraine try to lift the morale of their soldiers after a completely failed assault near Debaltsevo, which ended in large casualties. 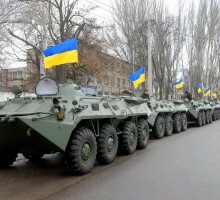 Commanders of Armed Forces of Ukraine, counting on the resolution of the conflict by force, plan to use T-72B tanks on Debaltsevo direction, said LPR People’s Militia Spokesman Major Andrei Marochko during his briefing today at LuganskInformCenter. 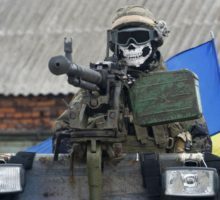 Kiev’s military undertook yet another attempt at a breakthrough in Debaltsevo area, LPR People’s Militia press-service told LuganskInformCenter. Three IFV and up to a one and a half platoons of personnel participated in the attack that was launched at 15:00 local time (14:00 CET). Another two servicemen of LPR People’s Militia died defending Debaltsevo area between December 20 and December 21, other two were injured by the enemy’s artillery strikes, LPR People’s Militia spokesman major Andrei Marochko told LuganskInformCenter. 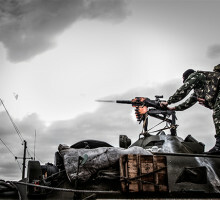 A total of four servicemen of Lugansk People’s Republic were killed, five were injured in the course of Ukrainian army’s attempts to breach People’s Militia defense in Debaltsevo area that started on December 18. 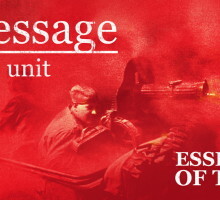 The fighting in Debaltsevo area started with Ukrainian army’s attempt at a breakthrough in the so-called “grey zone” and occupy advantageous positions in LPR People’s Militia area of responsibility, the head of LPR People’s Militia administration colonel Oleg Anashenko told LuganskInformCenter. 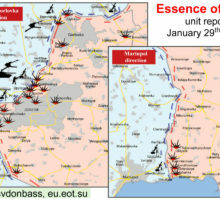 Kiev’s military prepare for active offensive actions on Debaltsevo direction, continue to shell LPR People’s Militia positions, LPR People’s Militia Spokesman Major Andrei Marochko informed. 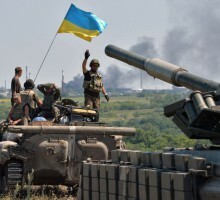 Fighting is underway along the whole contact line at the part of the front near Debaltsevo town, where Kiev junta military are making breakthrough attempts for almost 2 days, a spokesperson of Lugansk People’s Republic (LPR) People’s Militia Major Andrey Marochko informed today.